Perfectly positioned opposite the 18th Green, The Warren is just a short stroll to the Clubhouse, Ugadale Hotel, The Old Clubhouse Pub and the world famous 1st Tee. 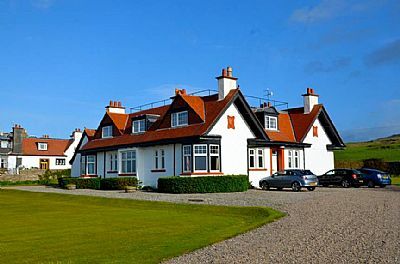 Purposely built in the 1890’s by a wealthy family, who obviously loved their golf, the accommodation is both spacious and homely. All bedrooms are comfortable and en-suite. For those rare inclement days, we have the best drying facilities available to ensure that at least you start the next day dry! There is ample parking and an acre of fine garden to explore. For those who need to connect to the internet, free WiFi access is available on request. Also for 2019 - SKY Sports in Guest Lounge and 10% Green Fee Discount for Non Members playing Machrihanish Golf Club! This offer does not apply to the online booking system - please contact the Golf Professional directly to make your reservation on 01586 810277 or pro@machgolf.com. The Warren in days gone by! 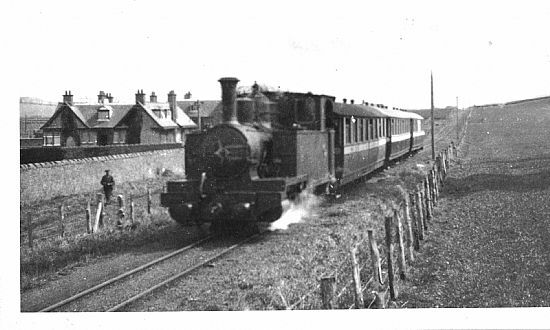 Sadly the daily train service to Campbeltown has long since gone. The ferry service between Campbeltown and Ardrossan starts again on 2nd May 2019 and runs until 29th September 2019 by Calmac. Sunday flights from Glasgow and Campbeltown commence on 5th May and operated by Loganair until 29th September. A stunning new video has been released of the International Pairs competition held at Machrihanish Dunes by the renown Robert Westerman. Click here to view!